To cut the variety of tape rolls e.g. : double-sided tape, masking tape, PET, PE, release liners/paper, Mylar…etc. with or without adhesive base material. The unwind set is continuum type to save using space and operation in convenience. 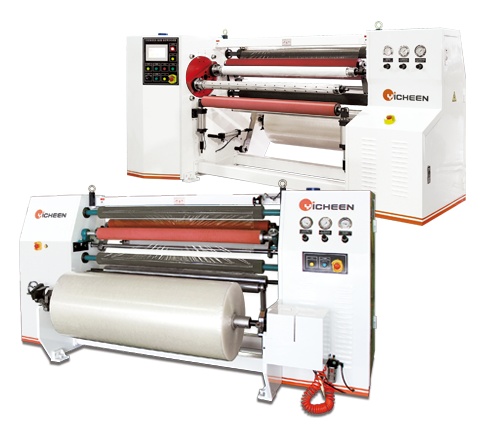 Equipped with full auto tension control and surface press roller to unwind material roll running through smoothly. 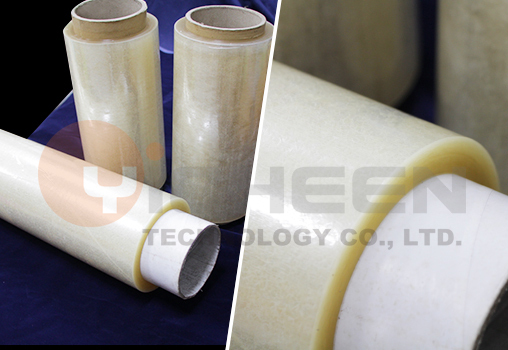 Rewind is by center type and surface rewinding method; to adapt different material rewind demand. Full auto rewinding control system. While the set length reached, rewind roll changed automatically. Operate by PLC control system, equipped with electrical control system conform to CE standard.